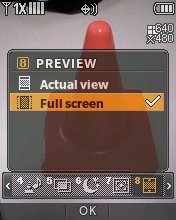 From the main screen, press the Camera key (located on the right side of the handset). 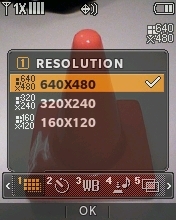 Select Resolution, adjust as desired then press OK. 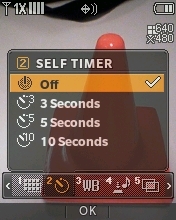 Select Self Timer, adjust as desired then press OK. 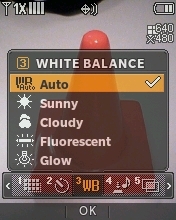 Select White Balance, adjust as desired then press OK. 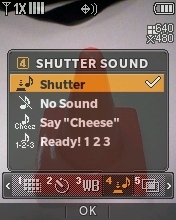 Select Shutter Sound, adjust as desired then press OK. 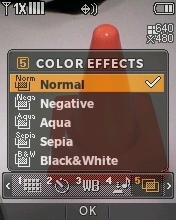 Select Color Effects, adjust as desired then press OK. 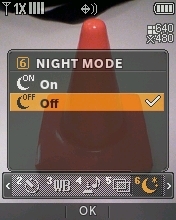 Select Night Mode, adjust as desired then press OK. 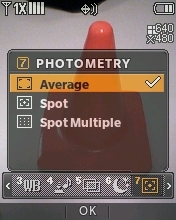 Select Photometry, adjust as desired then press OK. 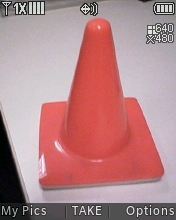 Select Preview, adjust as desired then press OK.